Join us this summer for another beautiful "hike into the past" on the Angeles National Forest! 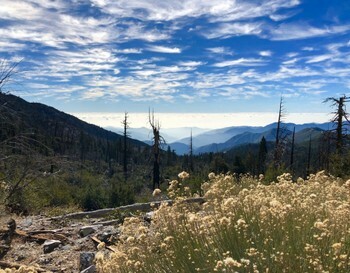 This year we will continue on our journey as we conduct surveys to locate, photograph, map and document archaeological sites within the San Gabriel Mountains, an area known to contain both historic and prehistoric archaeological sites. Passport in Time volunteers will gain experience in systematic survey methods, map and compass reading, artifact recording, and so much more! We will only be accepting application until all slots are filled, so apply today, and join our team as we discover the rich history of this important cultural landscape of California!